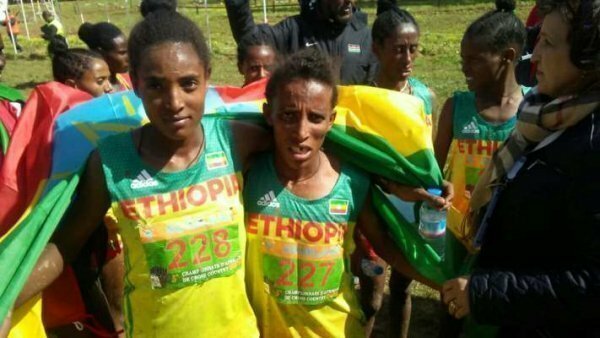 Ethiopian athletics team brought home five medals from the fifth African cross country championship which took place in Chlef,Algeria,yesterday. Two gold,one silver and two bronze medals. Athlet Girmawit Gebregziabhier won a gold medal in the 6kms category; Tsige Gebreselam finished second to claim silver. Yeshi kaleayu got bronze in women 10,000 meters while Solomon Berihun finished third in men’s 8km race. The other gold that Ethiopia won is in mixed relay category. Diligent team work from Besu Sado,Moges Teumay,Netsanet Desta and Teresa Tolossa made the win in the category possible. Kenya dominated the championship ; Celliphine Chespol and Alfred Barkach claimed gold in senior races.